13th July 2019, Saturday, Banská Bystrica “TERMINAL” – BUS & Railway station & shoping centre. Arrivals and departures are allowed only these days. 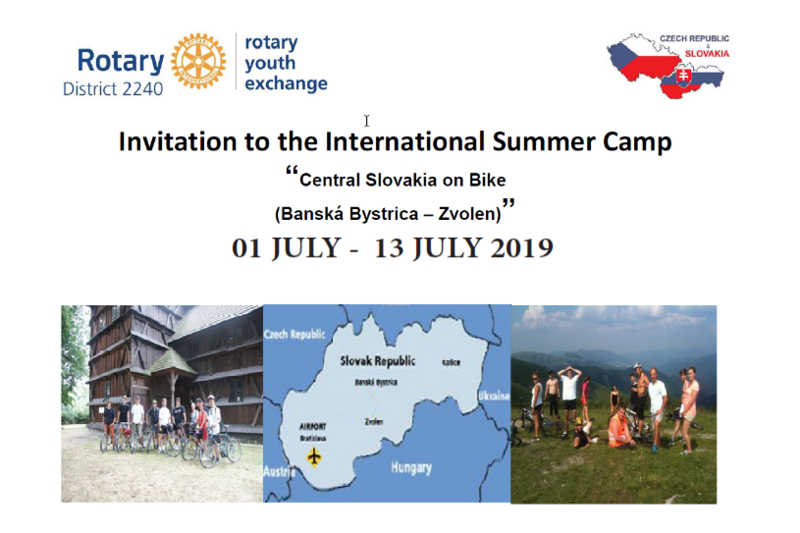 Participants will pay for their travel expenses to and from the camp, their own extra expenses, pocket money and 150 EUR rental charges for sport equipment. It includes free of charge service and transports during time of camp. Note : In case you would like to rent an electric bike, the price of rent will increase. Each participant must have his own helmet and gloves, sport wear and shoes suitable for biking. Small knapsack for food and soft beverages is recommended. We recommend that participants inform us of their highs when renting appropriate bicycles. PHYSICAL PERFORMANCE AND APROPRIATE CY CLING SKILLS.